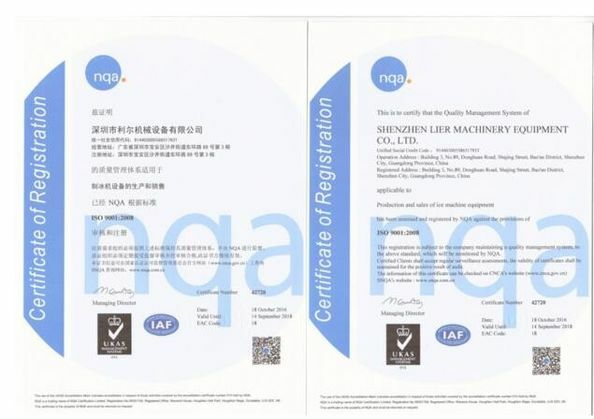 Shenzhen Lier Machinery Equipment CAo., Ltd (Lier for short) found in 2009, it has been rising to fame rapidly in the past few years in the refrigeration & ice making industry. The brand name LIER has been recognized as a byword for quality products and superb services. 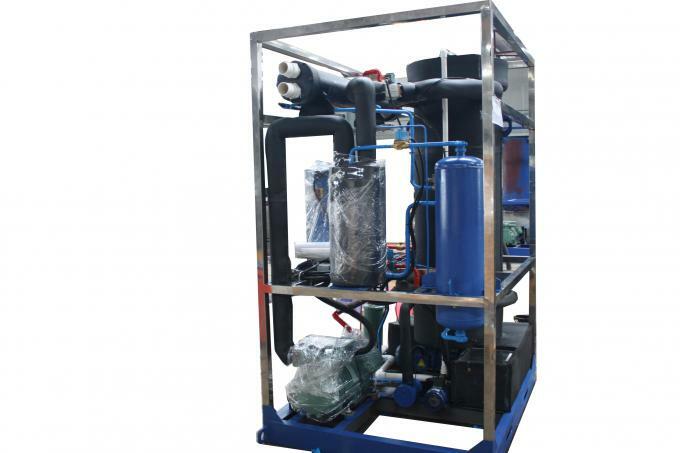 1) Fishing-- Sea water flake ice machine can make ice directly from the sea water, ice can be used in fast cooling of fish and other sea products. Fishing industry is the largest application field of flake ice machine. 2) Sea food process-- Flake ice can lower the temperature of cleaning water and sea products, therefore it resists the growth of bacteria and keeps the sea food fresh. 3) Bakery-- During the mixing of flour and milk, can prevent the flour from self raising by adding flake ice. 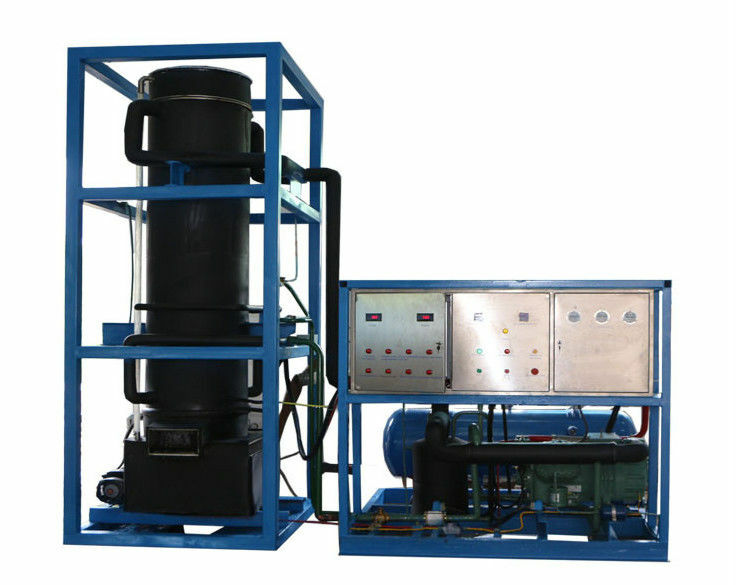 4) Poultry-- Huge amount of heat will be generated in food processing, flake ice can effectively cool the meat and water air, also supply moisture for the products at the meantime. All LIER ice machines come out with 15 months full warranty. If the machine breaks down in 15 months,Lier will send the parts for free, even send the technician over if situation needed. 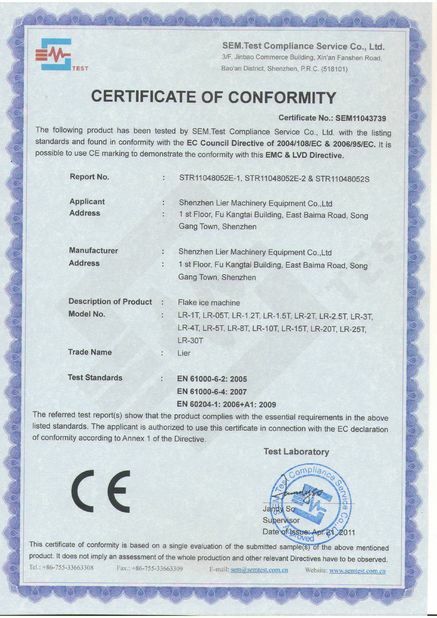 When beyond the warranty, Lier will supply the parts and service only for factory cost. Process: Please provide the copy of Sales Contract and describe the problems appeared. A We will dispatch our Quality and Problems Appraisers to make a confirmation.